I’ve visited quite a few schools in Asia and they consistently take my breath away. 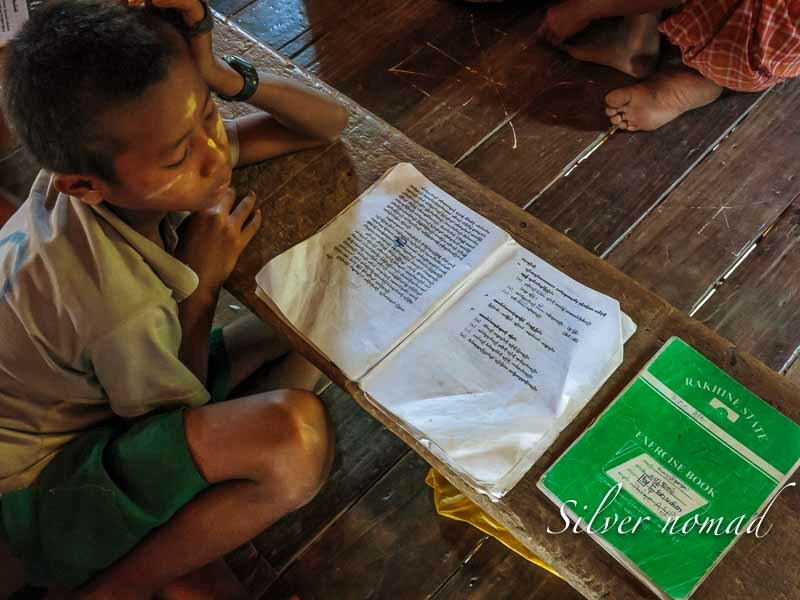 I am always astounded at conditions in rural Asia and that anyone learns to read and write at all. But they do. 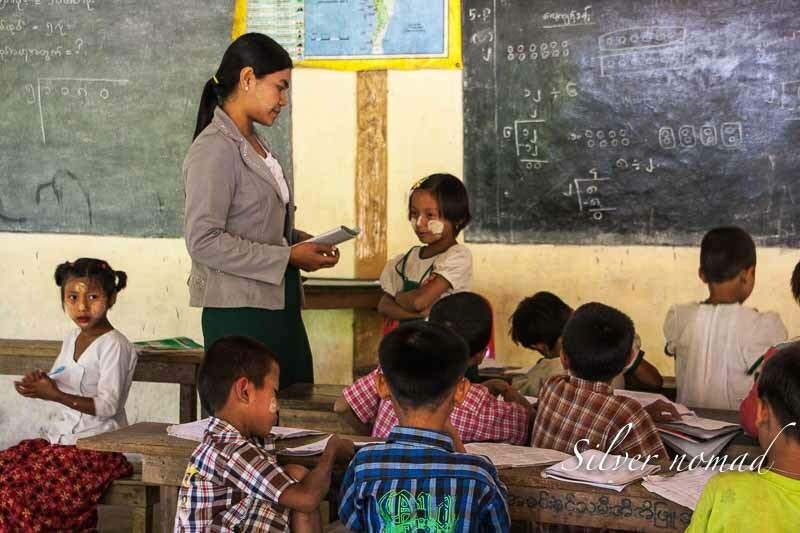 According to UNESCO, the Youth Literacy rate in Myanmar is 96 percent. Youth Literacy is defined as young people between the ages of 15 to 24 who can read, write and understand a simple statement about everyday life. 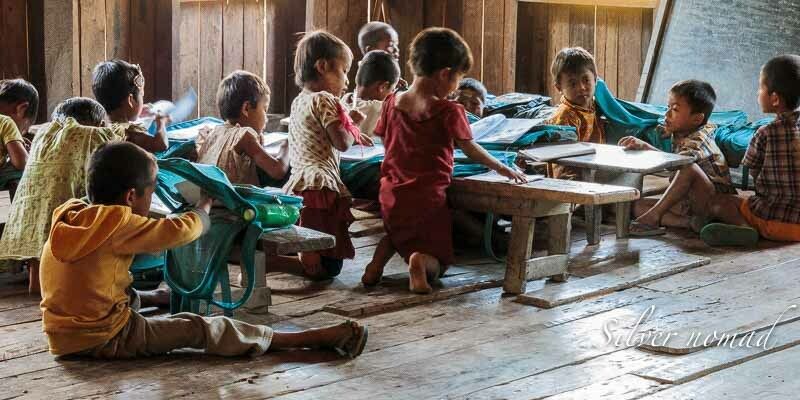 How teachers teach and children manage to learn in some of the poorer schools is astonishing. 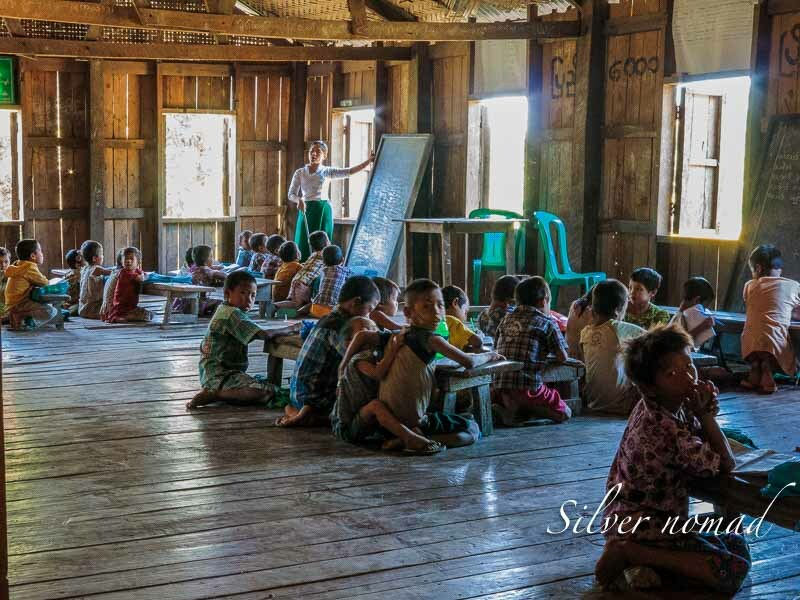 The schools in the Chin villages were amongst the poorest I’ve seen and quite a shock after the International schools in Asia where I consulted every winter for twelve years. International schools were originally set up to educate the children of ambassadors and executives of large companies who were working overseas and would eventually return to their country of origin. 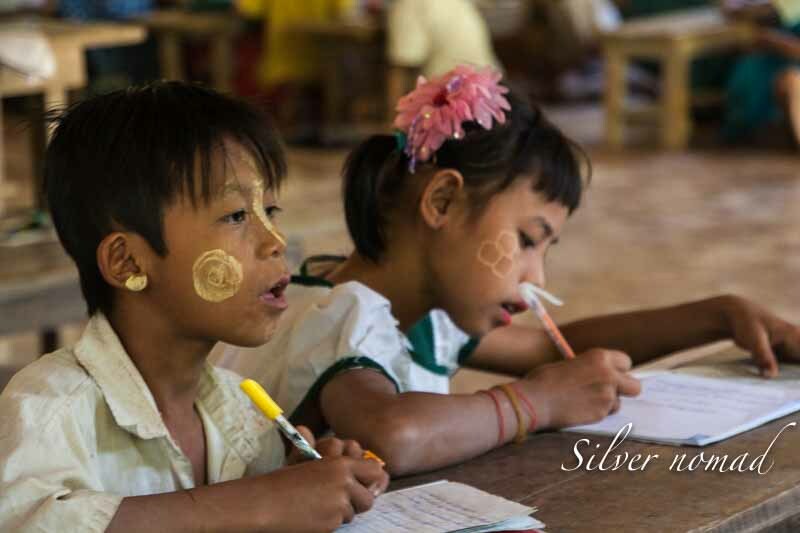 There is a network of these schools all over the world and nowadays they serve not only the children of traditional expatriates but also the children of the wealthy in the host country. The facilities themselves are stunning and the resources available to teachers and students simply amazing. In the first Chin village we visited, the school for the teenagers (I am loathe to say high school) was a hut in the centre of the village. 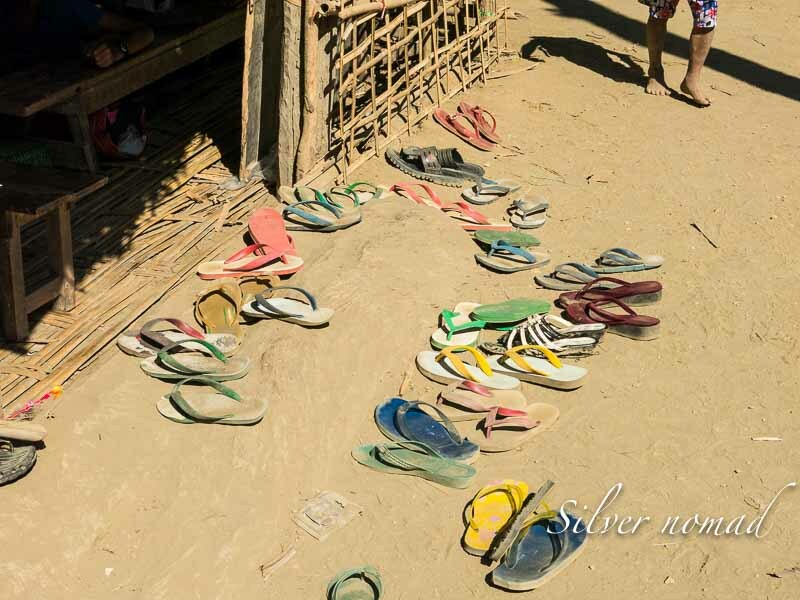 It was easy to identify by the number of flip-flops lying outside – and by the noise. The hut was alive with the buzzing of teenagers. Algebraic equations were on the chalkboard but Algebra was clearly the last thing on their minds. There seemed to be no adult in charge: whoever had demonstrated the equations was no longer around. 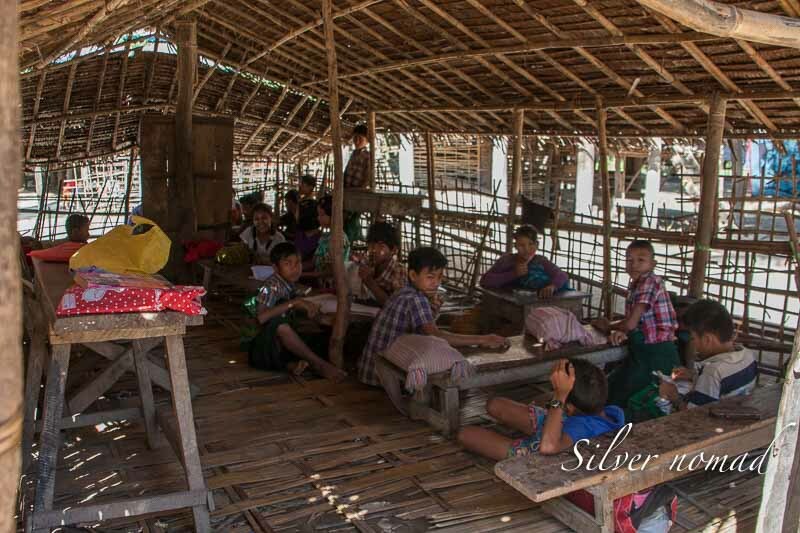 The students were sitting or kneeling in Myanmar-style on the floor, in front of desks that were very low to the floor. Most students seemed to have paper and pencils but no other resources, except the chalkboard with the mysterious equations, were evident. The school for younger students was at the end of the first Chin village. It was a substantial building but I felt sorry for the young female teacher trying to instruct children who seemed more interested in fixing their hair than in learning. 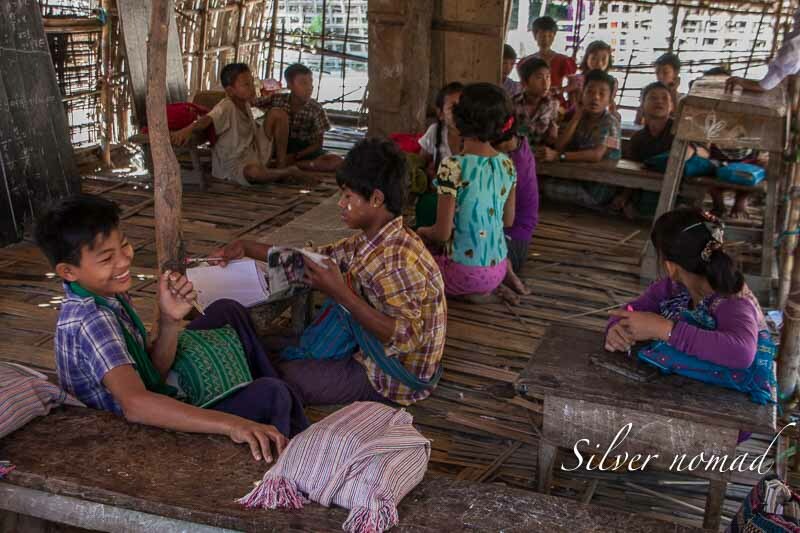 The children were a cheery bunch – but a handful for one young teacher to work with. There was only paper and pencil as resources for learning and none of the visual aids – computers, smart boards, TVs or the rest of the paraphernalia – that western teachers have access to. 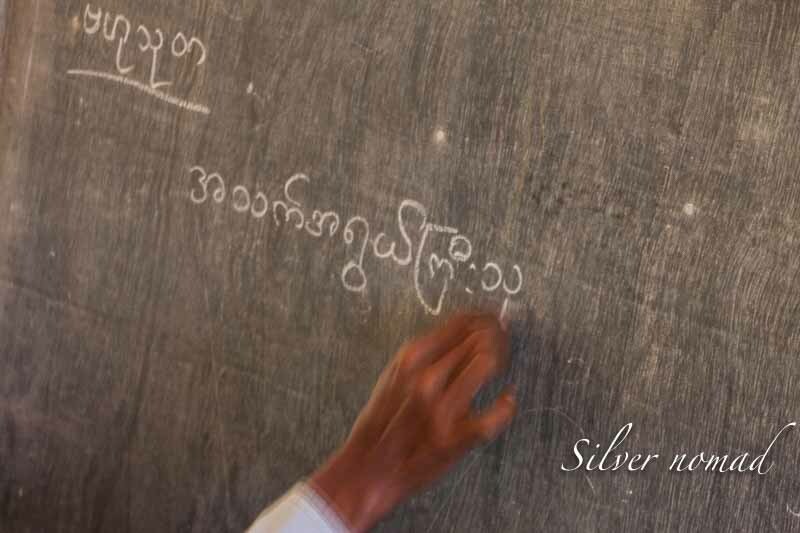 In the second Chin village, the senior school seemed more orderly with a teacher writing the exquisite Burmese script on the chalkboard. He also went round and sat with small groups of students while they worked. 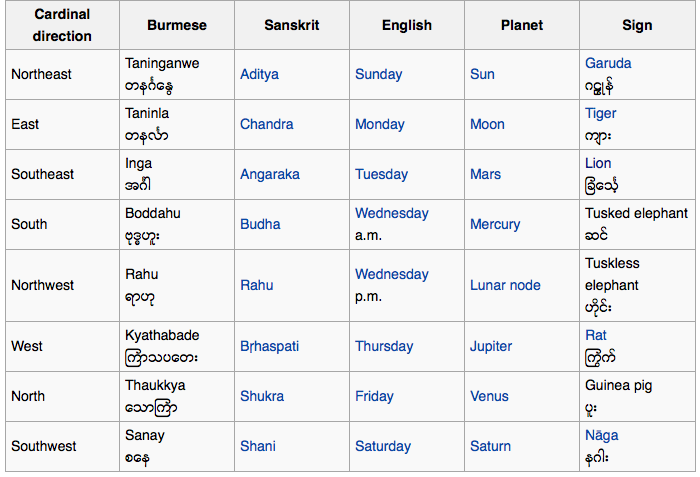 The Burmese or Myanmar script was developed from a southern Indian script in the eight century. Originally the script was square-shaped but rounded letters developed in the seventeenth century as a result of using palm leaves to write on: straight lines would have torn the leaves. It is a syllabic alphabet, which means each letter has an inherent vowel. (I previously came across a syllabic alphabet when I was teaching in the Eastern Arctic forty odd years ago. Inuktitut, the language of the Canadian Inuit or Eskimos as they used to be called, is written using syllabics). 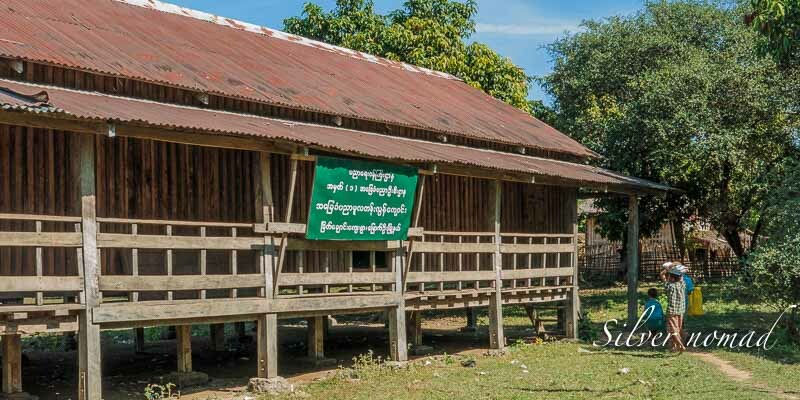 The Burmese alphabet consists of 33 letters and twelve vowels. It is written left to right and no spaces are required between words. It is a tonal language and diacritical marks are used in the written language. And here is a short video that demonstrates the shapes of the letters with their sounds. One advantage of a syllabic alphabet is that if you know the language and learn the orthography, you can write anything you can say. This is definitely not the case with English and its haphazard (almost) spelling. I enjoyed my visit to the Chin ladies but left thinking that if Education is the route to a more prosperous life, as we are so often told, what will become of the younger generation. School seemed so inconsequential to many of them. Most seemed destined to be chained to life in their village with its round of chores to support a subsistence level of living. And so I found yet another reason to be glad I was educated in Britain on the heels of the 1944 Education Act, which ensured that all children, irrespective of social or financial background, got a fair shake at an education. 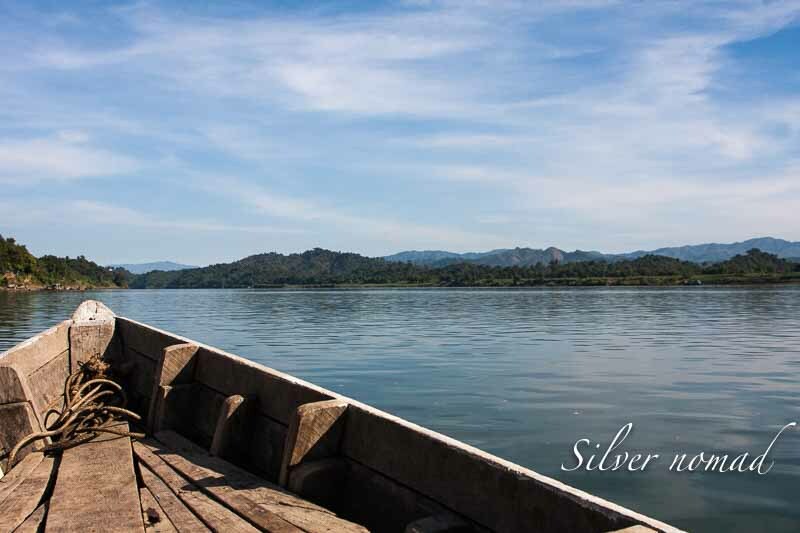 The trip on the Lemro River was interesting but it did feel good to get out and stretch my legs. The path to the village where the ladies with the tattoos lived was flooded with bright mid-day light and soon I was wishing I was back on my plastic chair in the boat. The trees at the end of the path gave welcome shade. 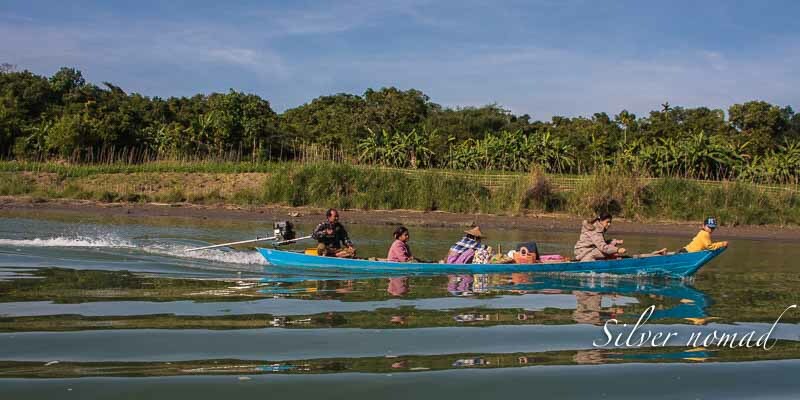 From the river, the village looked deserted but, as in most of Asia in the middle of the day, the villagers were sequestered in any shady spot. Even the children were staying out of the noontime sun. Walking into the villages is like stepping back in time. There was no evidence of any of the conveniences of the modern world that we take for granted. 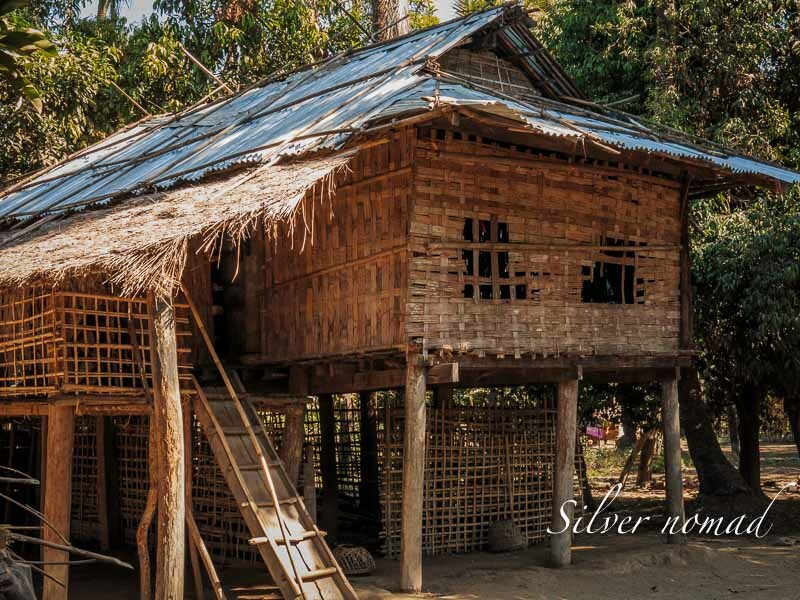 The houses, on stilts so air can circulate below and also provide shade, were all made by hand and of local material. 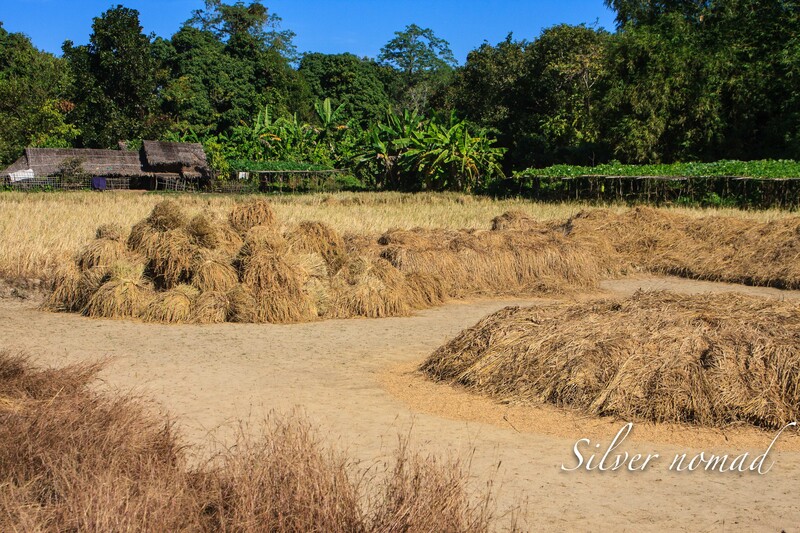 They seemed to be made of mats woven from palm leaves. Much of life is lived out-of-doors, usually under the house for that’s where it is cooler. Some kind of Chin telegraph had announced our arrival for the ladies were busy at their looms or displaying their wares. 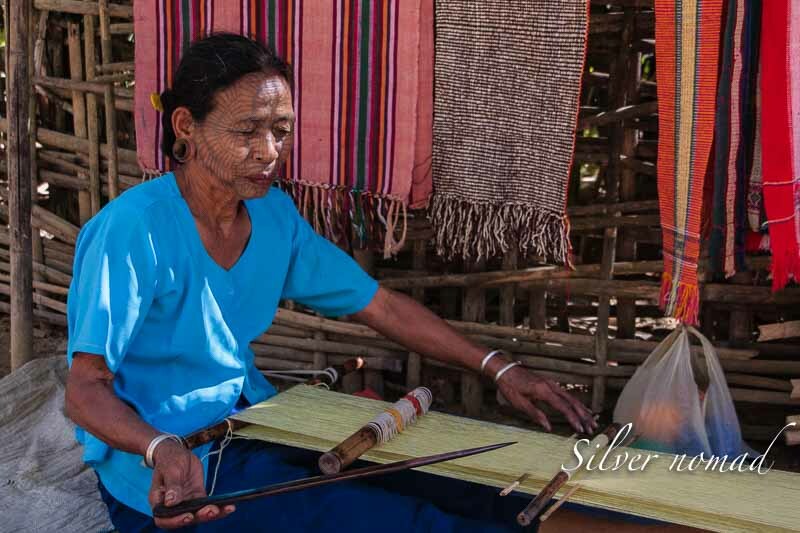 The traditional craft of weaving has endured and there were lots of pieces on sale. I had been a bit nervous thinking about taking photos of their tattooed faces and desperately wanted some close-up shots. The light in Asia is nearly always a problem, especially at high noon. It is an additional problem when the contrast between the light areas and the dark are intense. Most cameras, even very good digital cameras, have a problem when the dynamic range is too large: bright highlights are easily blown with washed out colours and details are lost in the dark areas. But I need not have worried: the ladies were gracious. They were quite happy to pose and, as I got more confident, I asked them to move into better light and so there would be a better background. One even closed her eyes and motioned me to take a photo of the design on her eyelids. She was so sweet that I did as she asked but with an internal shudder. All I could think about was how painful that must have been. Girls were tattooed at about the age of nine. Whether this was a puberty rite or a cosmetic treatment, I don’t know. It was done with sharp thorns from a plant and the ink was a mixture often involving soot. 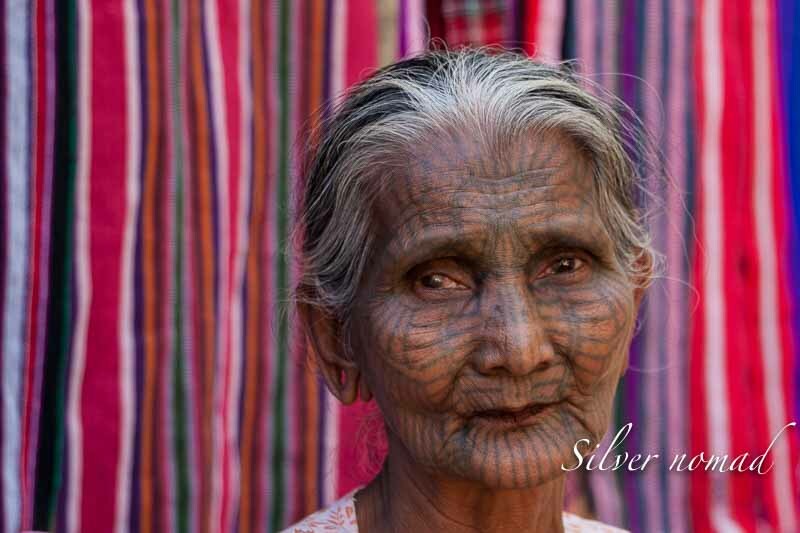 A woman in the child’s family, often the grandmother, did the tattooing. I thought the women all looked extremely handsome and that the tattoos (lines before their time) hid the inevitable ravages of Old Father Time. 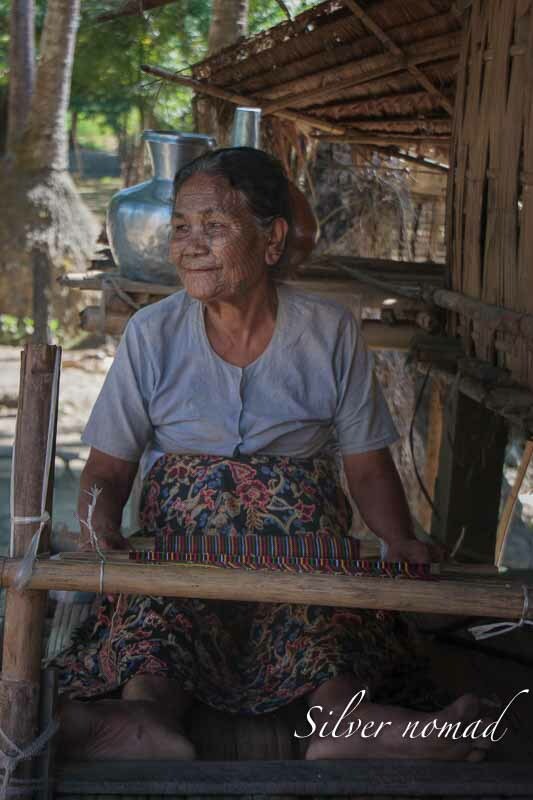 Showing their tattoos, along with selling their weaving, has become an income generator for them. 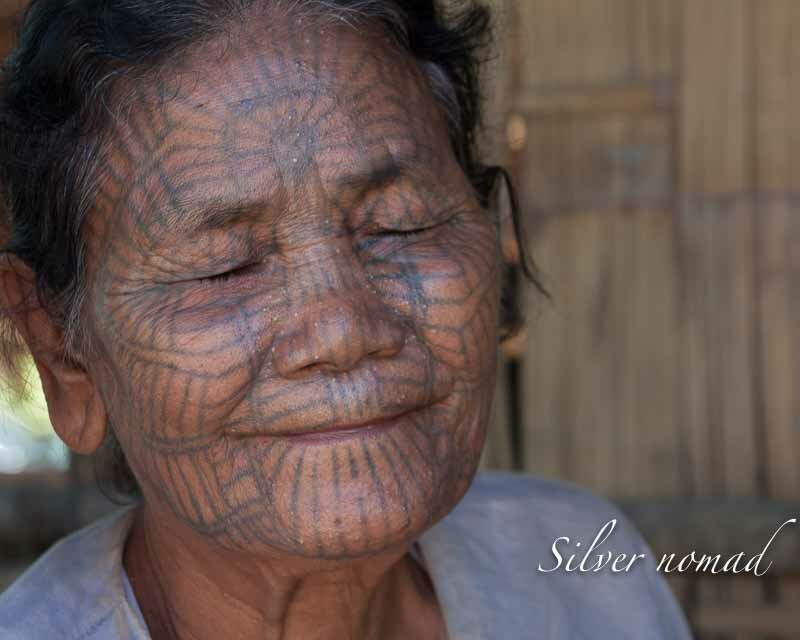 The Burmese government outlawed tattooing in 1960 so nowadays young girls content themselves with applying circular patterns with thanaka. 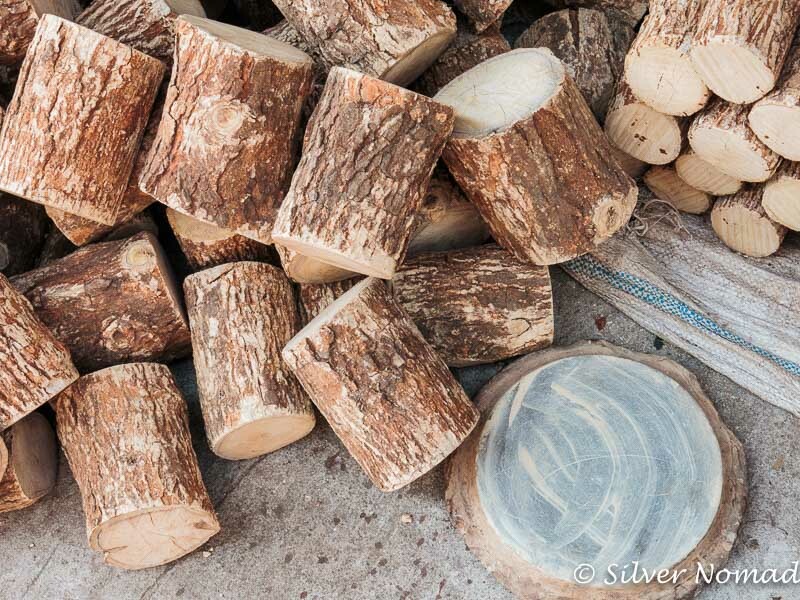 Thanaka, made from the bark of a tree, is a much less painful option. The bark is powdered and made into a paste, which is yellow. Women, men and children use it as a sunscreen. 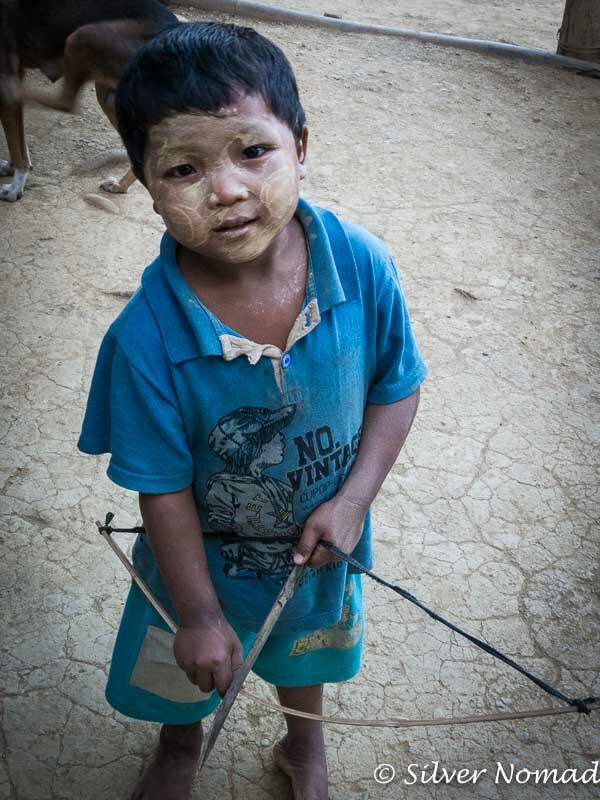 You will see more children in the next post as I write about schools in the Chin villages. I’ve always enjoyed travelling by train, probably because I equate it with independence. At the age of eleven, my mother, full of fear and trembling, took me to Piccadilly Station in Manchester and put me on a train to Carlisle. She ensconced me in a ‘Ladies Only’ carriage with strict instructions to change at Carlisle and catch the afternoon train to Kirkcudbright (Scotland). It was a trip I had made with my mother and sister many times – to visit my grandmother and other Scottish relatives my mother had left behind when she married my father, an Englishman, and settled in Lancashire. I knew the route like the back of my hand, including spending an hour between trains in the ‘Ladies Only’ waiting room in Carlisle. Not quite the stuff of a Paul Theroux journey by train but exciting for an eleven year old wanting to fray the cord that binds and tethers. Even then I wanted to see the world. 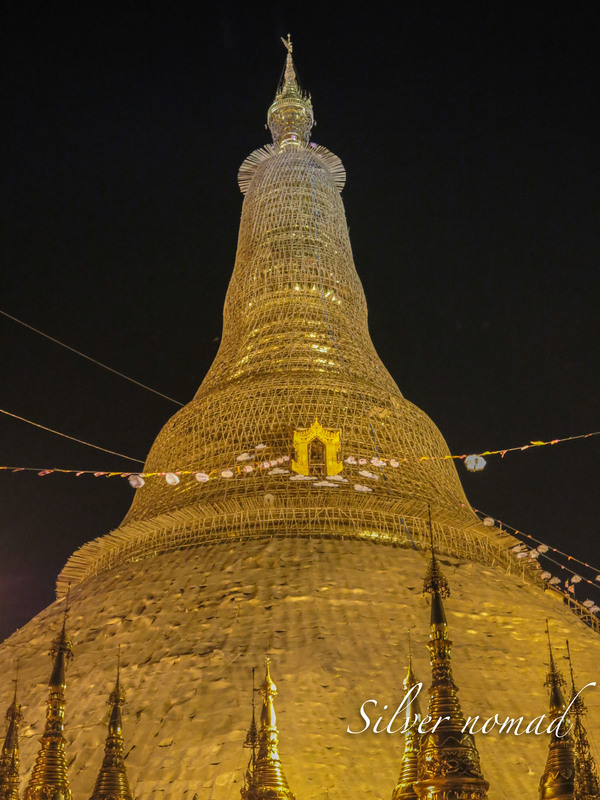 I have no idea if Paul Theroux has ever travelled the Circle Line in Yangon – too short a journey (28 miles), seats too hard, no restaurant car and no table so he could make his notes on what he sees and what people say. 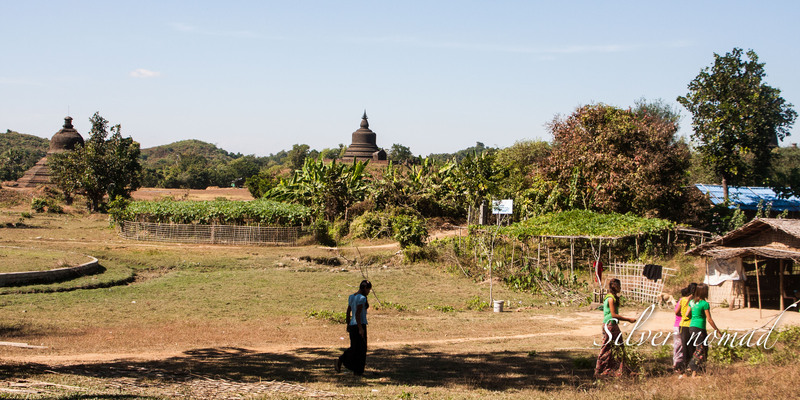 The line, a narrow gauge railway built by the British in the 1950s doesn’t go anywhere – merely round in a circle through the outskirts of Yangon. The whole trip takes about three hours. The main railway station in Yangon is centrally located but I took a taxi, as it’s quite a long walk from the usual tourist haunts. I found the ticket office easily (signs in English) and paid for my ticket in local currency (kyats), a very modest 10 cents instead of the one US dollar that tourists were charged previously. 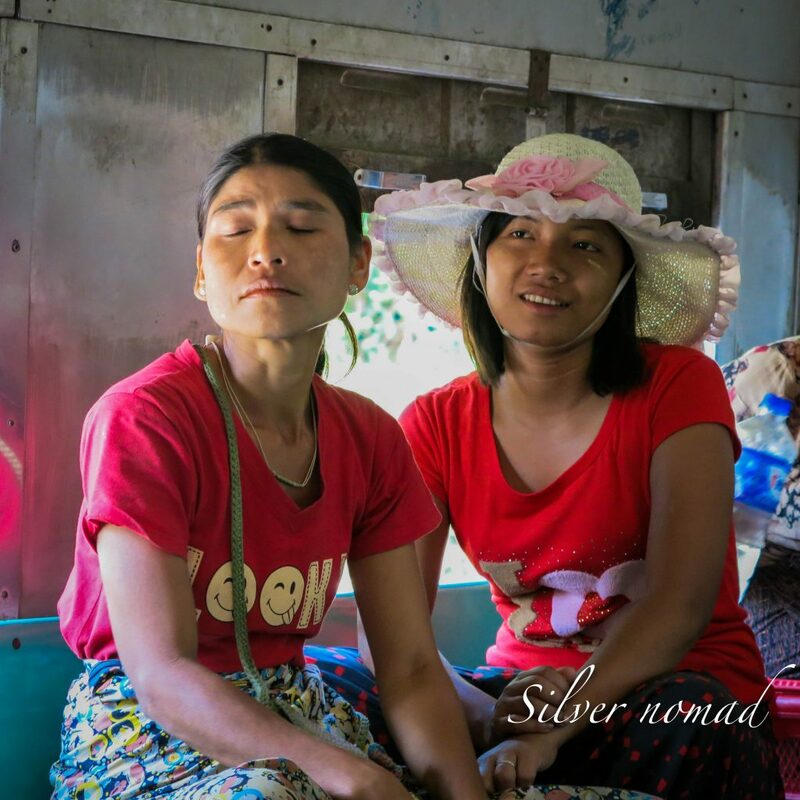 This trip is often described as a commuter train because it goes through the Yangon suburbs (another misnomer) but you won’t find any briefcases here. You need both hands to haul yourself aboard as the three steps are quite steep but there are handrails. Finding a seat was easy – just slide onto one of the long benches on ether side of the carriage. I slid into a corner and watched as the other passengers embarked; a few housewives, a schoolgirl, a man with two large baskets filled with bananas suspended from a shoulder yoke and a few tourists. They were joined by a couple of young women, one with bags of attitude for the camera. We pulled out on time (there are many trips during the day), and although the route is said to serve 100,000 to 150,000 passengers each day, my carriage was almost empty. Disappointed at the small turn out, I sat back and watched the city give way to countryside almost as soon as we had left the station. After an hour and a half of little action, I was beginning to feel that it was a dull ride with a few people getting on and off at various stops in the middle of nowhere. Then, we drew into a station that I now know is called Danyingon where there was lots of activity. It looked like a vegetable market was laid out on either side of the track, which indeed it was. Now, I really love markets and thought about jumping off, speaking idly of course as I would have needed to descend the steep steps, a Mount Everest for me, to reach the ground. Before I could act, suddenly I was in the midst of a melee as women and men, hauling very large baskets and bundles, swarmed my carriage. I retreated into my corner as they settled themselves all over the place, baskets and bundles rising almost to the ceiling. I just hoped that the various bundles now resting on my feet and legs contained nothing unpalatable that could wriggle free. I such situations, I am always glad to be wearing rather stout travel shoes with closed toes. The train pulled out and much to my surprise, out came knives, string and plastic bags. This motley crew set to work, separating the produce into smaller bunches, which they expertly secured by twisting the string and tying it off. They chatted and joshed each other but worked steadily. 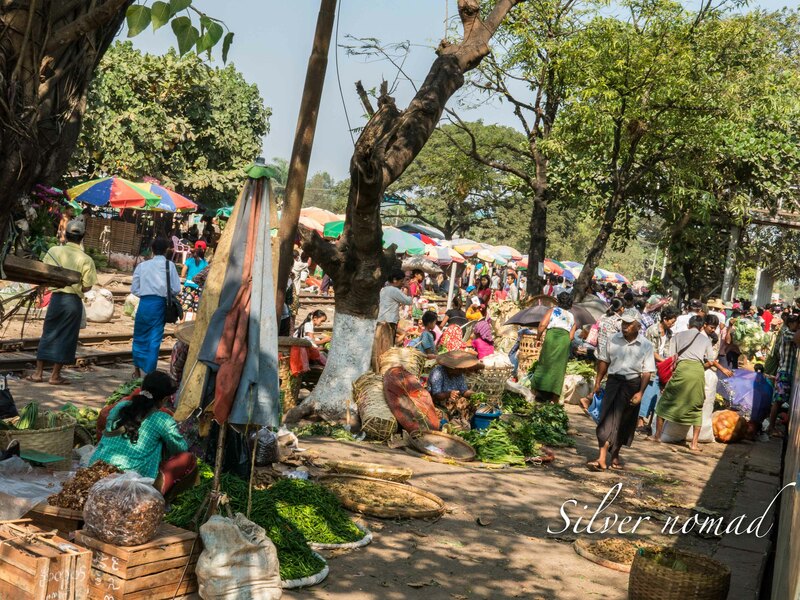 I realized that these were the usually invisible ‘middle men’ (and women) of commerce who go to the outskirts of Yangon each day to where the produce is grown and sold and bring back as much as they can carry to either sell themselves or sell to other vendors in the city. No fingers were idle on the homeward journey and by the time we reached Yangon everyone was packed up and ready to leave. Even before the train stopped, produce was pushed out the windows to helpers on the platform and several valiant ones were slipping and sliding in their rubber flip-flops over the mounds stuffed in the stairwells. I was not in a rush and watched women, smaller than some of the bundles, manhandle them down the steps and onto the platform. Within a few minutes, the loads were removed and I could leave the train. The platform was a hive of activity as the ‘middle men’ (mostly women) organized their wares and a new set of passengers climbed aboard. Little did my mother know when she deposited me on the 9:30 a.m. to Carlisle all those years ago that she was preparing me for a great train journey. As someone said, ‘The most important reason for going from place to place is to see what’s in between’. 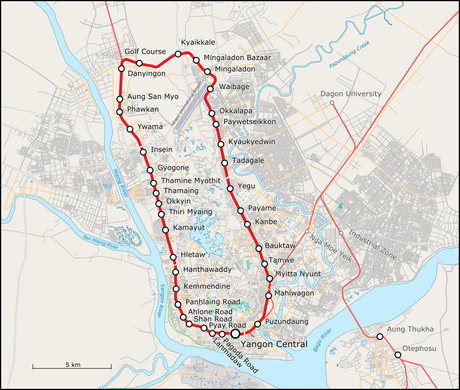 By that criterion, the Yangon Circle Line was a great train journey. 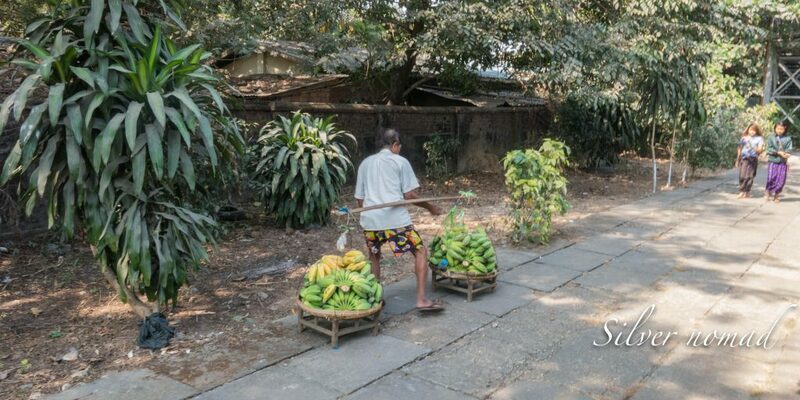 If you like to travel by train, go quickly, as the Circle Line with its busy produce vendors may come to an end. 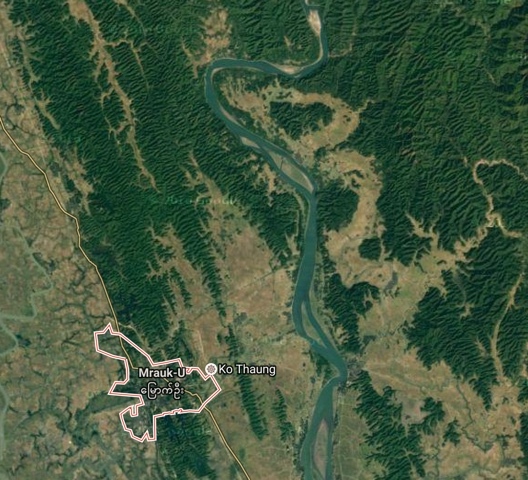 Just recently the Government of Myanmar announced that it intends to build a state-of-the-art wholesale produce market on the outskirts of the city, near Danyingon. There are also plans for a cold storage facility and a transportation centre so the produce can be trucked to China. What is it that lures us back to places we have been previously? One of my first walks in Yangon on this trip was to find the Golden Smiles Inn, the guesthouse where I had stayed in 2004, well to the west of where I stayed in 2014. The Golden Smiles Inn was no longer listed in the Lonely Planet guidebook so that should have tipped me off. 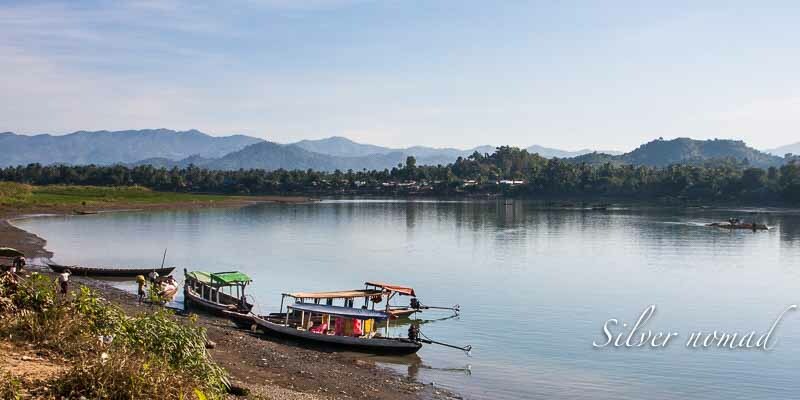 But I remembered a great wrapped Bodhi tree, alive with Ganesha and other Hindu deities at the foot of which sat the dealers in rubies from Mogok. Off I sauntered along Maha Bandula Street, round Sule Pagoda, down Sule Pagoda Road, passed Maha Bandula Gardens and headed west along Merchant Street. 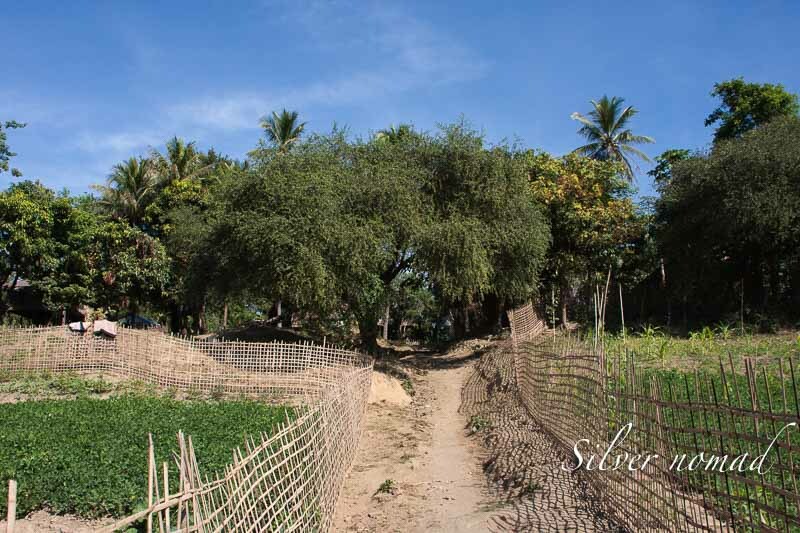 Shortly after where Strand Road joins Merchant Street, I spotted the Bodhi tree at the intersection of Shwe Botha Street and Merchant Street. There were the little plastic stools and tables loaded with rubies from Mogok but the cracked neon happy face sign that signaled the Golden Smiles Inn was nowhere to be seen. I walked up and down several times peering into the dim interior of the shops and buildings. This is a busy little spot, crowded with people buying and selling. I skirted the biggest crowd, clearly in some sort of lackadaisical line, and peeked into the building. There was the dilapidated photocopy machine I remembered, jammed into a very small space under the stairs of an entryway to the building that had been the home to the Golden Smiles Inn. I slipped passed the line and climbed the stairs to discover that the Golden Smiles Inn had morphed into a Christian chapel! It was locked so down the stairs I went, passed the muddle of people wanting to have copies made and out into the street. I looked up. Under the rash of electrical wires, I could make out the Grecian columns that supported the balcony where I had eaten breakfast all those years ago. The grimy white columns I remembered were now painted cream and the balustrade had a burgundy trim. No sign of the backpackers’ laundry that hung in dismal heaps above the heads of the breakfasters. A little frisson of sadness fluttered through me. But at least Ganesha and his friends the ruby dealers were still in their place. I wandered off, satisfied that my memory for places was still intact. 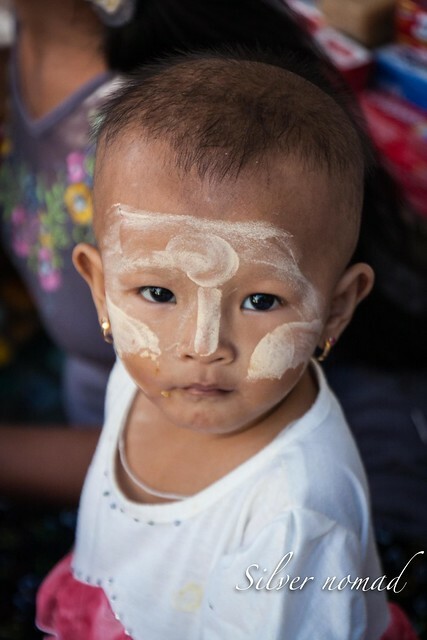 ‘This is Burma. And it is unlike any land you know about’. 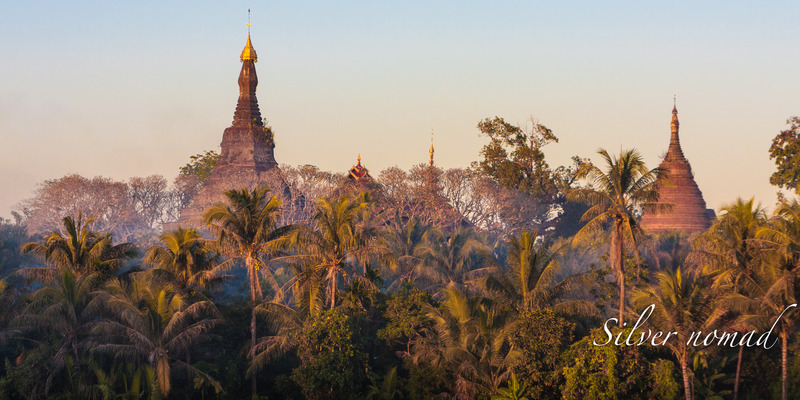 He could equally have said, ‘And Yangon (Rangoon in his day) is unlike any city you may have visited’. Pablo Neruda, Chilean consul in 1927 described it as a city of blood, dreams and gold. 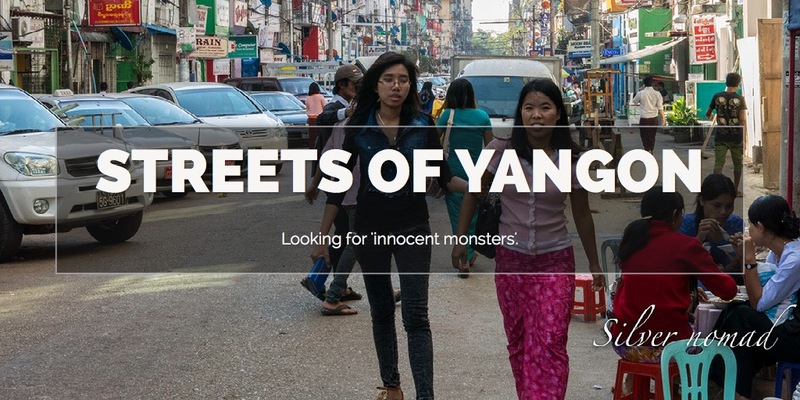 Both Burma and Yangon certainly have a past that is liberally sprinkled with blood, dreams and gold. 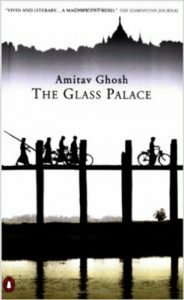 The story of the country and the city are material for a Hollywood blockbuster and is ably told by Amitav Ghosh in The Glass Palace. The Glass Palace starts off in Mandalay as the British conquer Upper Burma (1885) and tells the rags-to-riches story of Rajkumar, a poor boy from India. It follows three generations through to World War 11 and takes place in Burma, India and Malaysia. It’s rather a grand sweep of the history and geography of an interesting part of Asia. 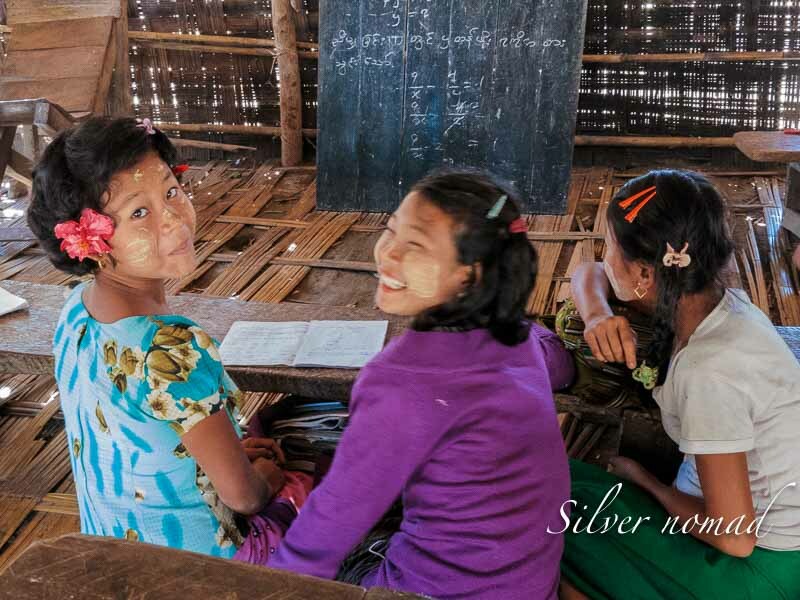 In addition, the reader learns a lot about the social mores of the times, about the last king of Burma and about Yangon at the height of the teak trading business. 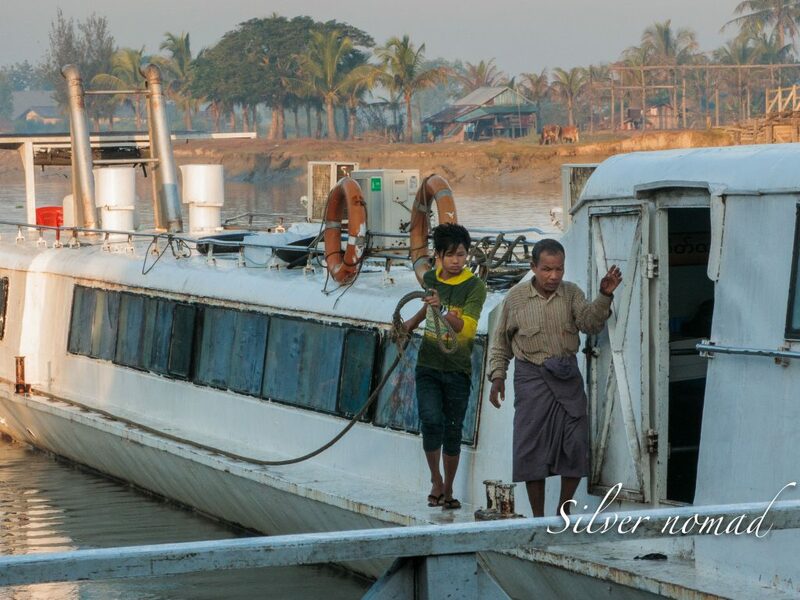 Yangon is certainly unlike any other Asian city I have visited in my fifteen winters of wandering most of which are huge with glass, steel and concrete modern buildings in the central business district surrounded by the more interesting (to me) ethnic quarters of the people who settled there, usually Indian and Chinese. 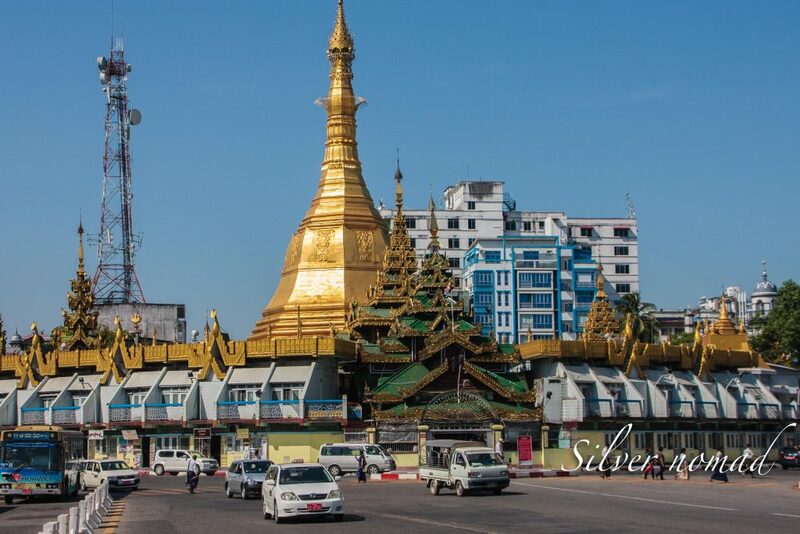 Yangon is large (about five million) and although it does have Indian and Chinese quarters, they merge imperceptibly into each other and overflow into the central commercial area. Fortunately, glass, steel and concrete buildings are still in short supply even in 2014. 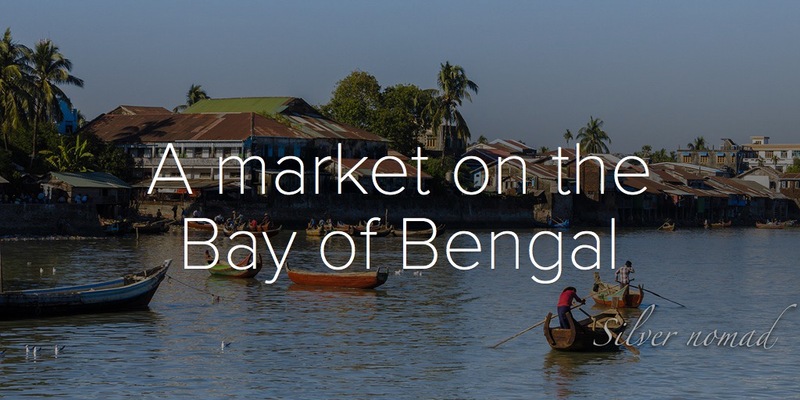 Yangon, or Rangoon as it was called in the days of the British Raj, is situated at the confluence of the Yangon and Bago rivers. 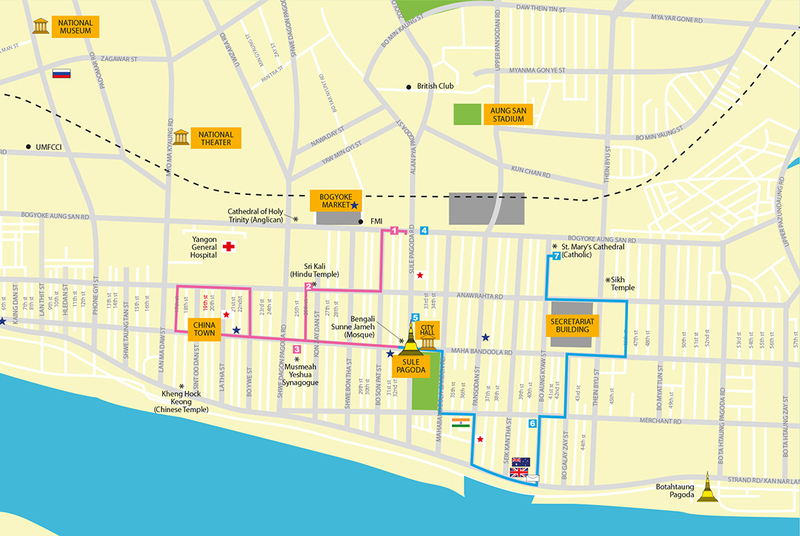 It’s a flat city, and would be perfect for walking except it is hot (very hot) and the streets are straight and long (very long). 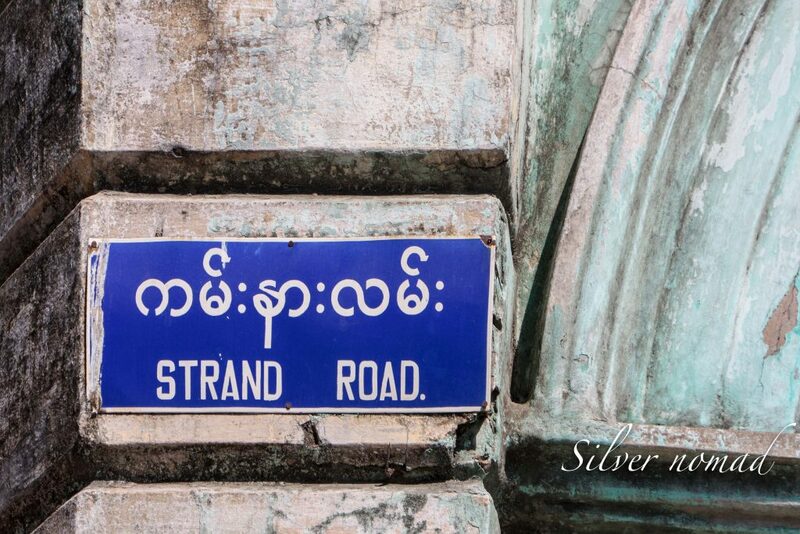 But walking is the best way to see the old colonial buildings, of which Yangon has the greatest number in Southeast Asia. 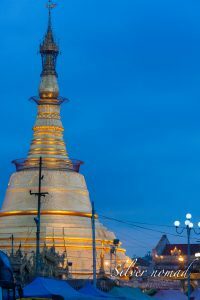 Dagon, as it was called in the early eleventh century when it was founded, was a small fishing village that grew up around the Shwe Dagon pagoda. 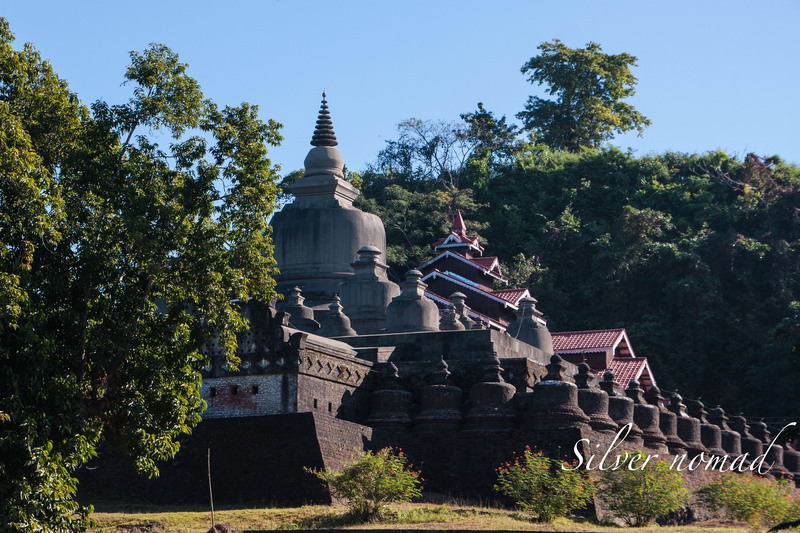 This most beautiful pagoda (temple) was built on a small hilltop between the sixth to the tenth centuries by the Mon people. 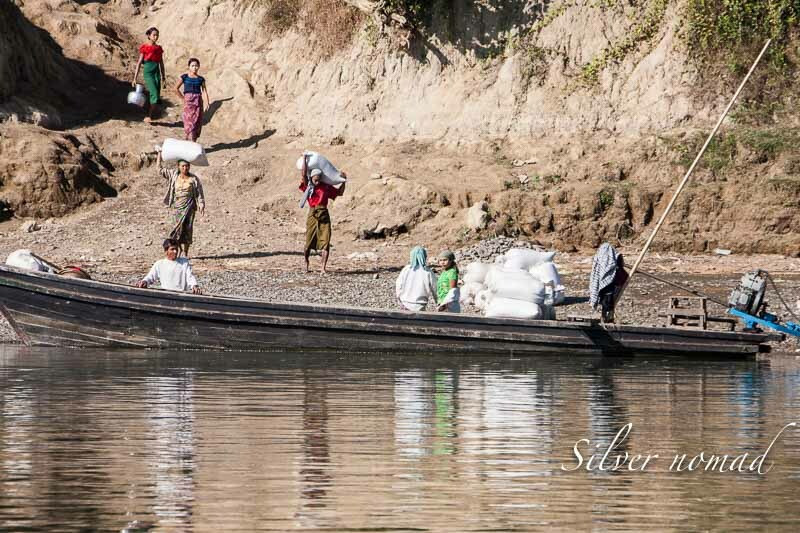 During this period, the land we now call Myanmar was a fragmented set of warring factions. 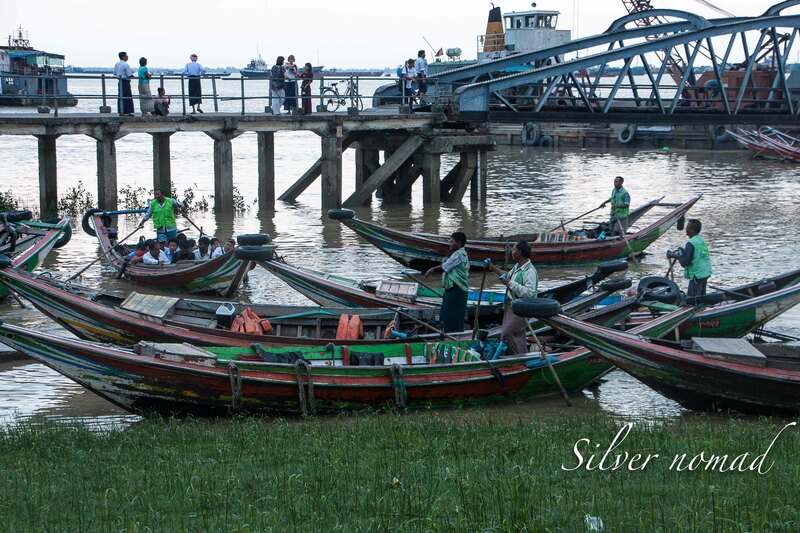 The Mon people settled in what the British referred to as Lower Burma, the southern part bordering with Thailand. Further north lived the Bamar in what the British referred to as Upper Burma. 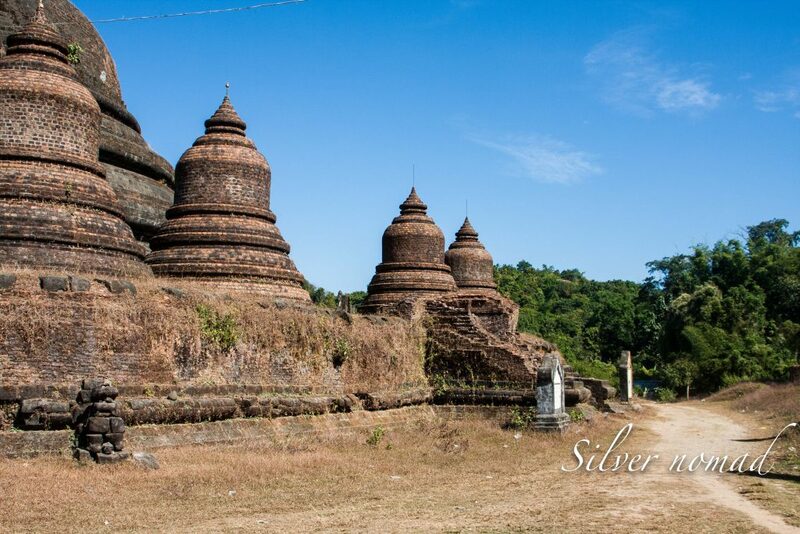 In 1755, Alungpaya captured Lower Burma, which was ruled by the Mons. 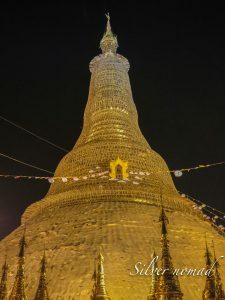 Alungpaya who lived near Ava (one of the ancient capitals not far from Mandalay) became king and renamed Dagon as Yangon. The British captured Yangon during the first Anglo-Burmese war (1824-26) but returned it to Burmese administration after the war. 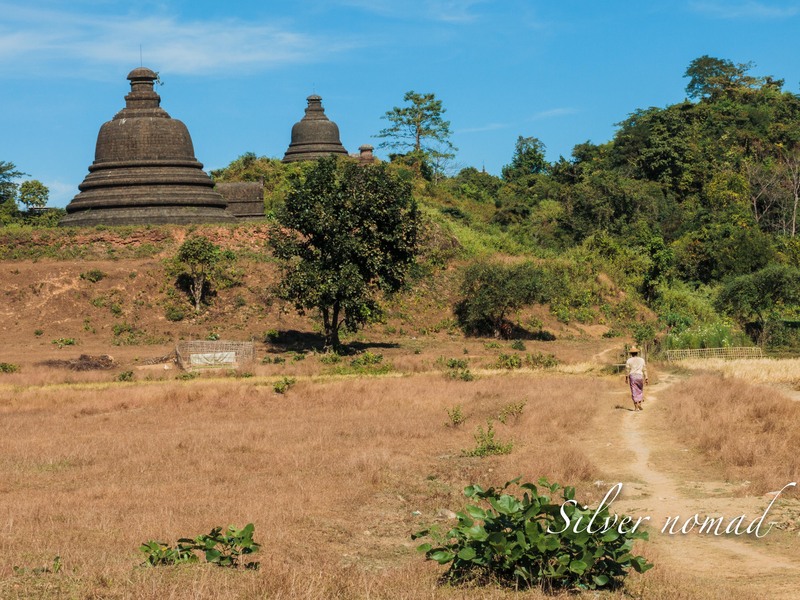 The British were still interested in Burma as an adjunct to India and seized Yangon and Lower Burma in the second Anglo-Burmese war of 1852. As most of Yangon had been destroyed by fire in 1841, the colonial masters set about rebuilding the city as a Victorian hymn to commerce. The new city was laid out on a grid plan, aided by the flatness of the delta region around the two rivers. 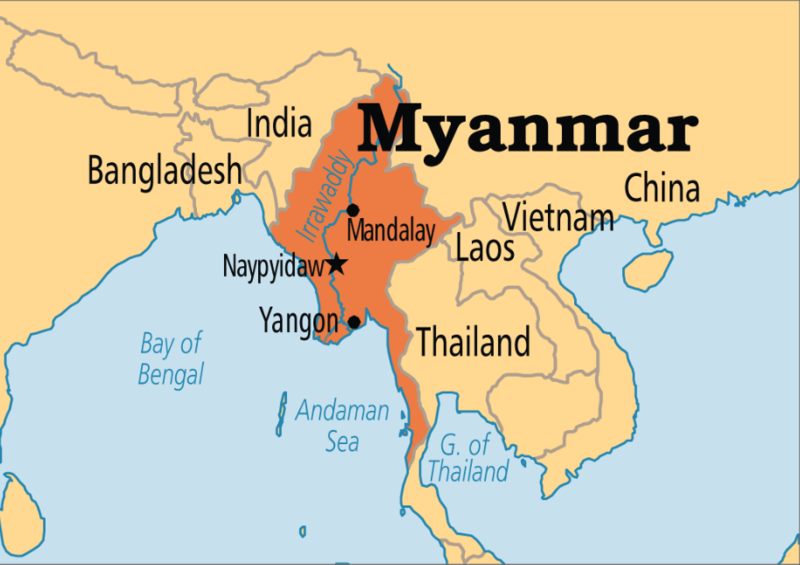 Upper Burma was captured in the third Anglo-Burmese war (1885) and Yangon became the capital. Shortly after (1889), Kipling stopped off from his ship for one night on his journey from Calcutta to San Francisco and ate dinner at the Pegu Club, the exclusive haunt of British officials and army men. 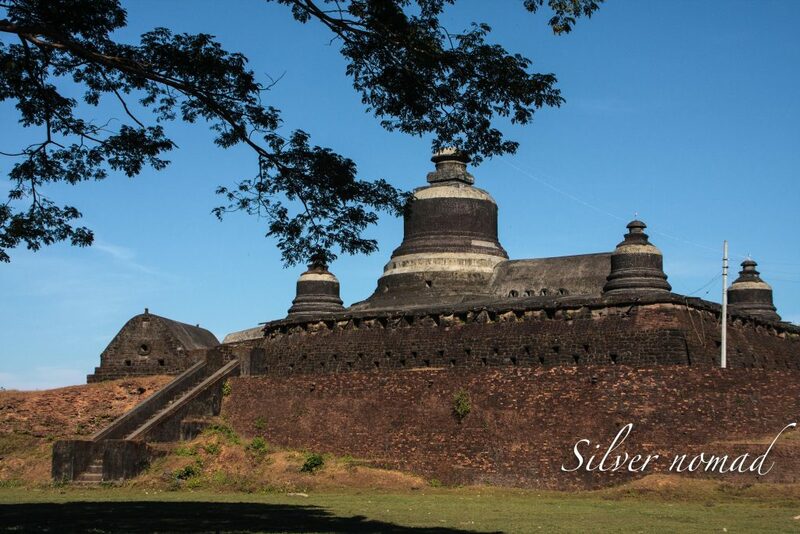 Burma was probably one of the wealthiest countries in Southeast Asia at the time. Teak from the forests of Upper Burma and rice from the Irrawaddy delta (now know as the Ayeyarwady) were shipped out of Yangon. Yangon became an important commercial centre in the later Victorian and early Edwardian periods and the colonial buildings that still abound in the city are a testament to its importance. Many of the grander buildings are located along Strand Road, which runs along the river. This would have been the centre of commerce in the old days and many of the buildings reflect this. It’s still a pretty busy area of the city. Another centre for old colonial buildings is around Yangon City Hall where a striking red clock tower announces the High Court Building. 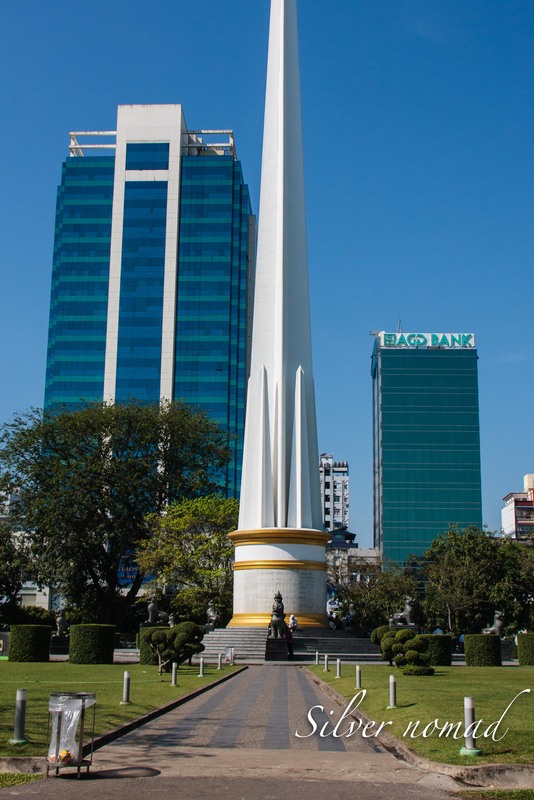 Close by is Maha Bandula Gardens where you can see the Independence Monument that celebrates independence from the British in 1948. 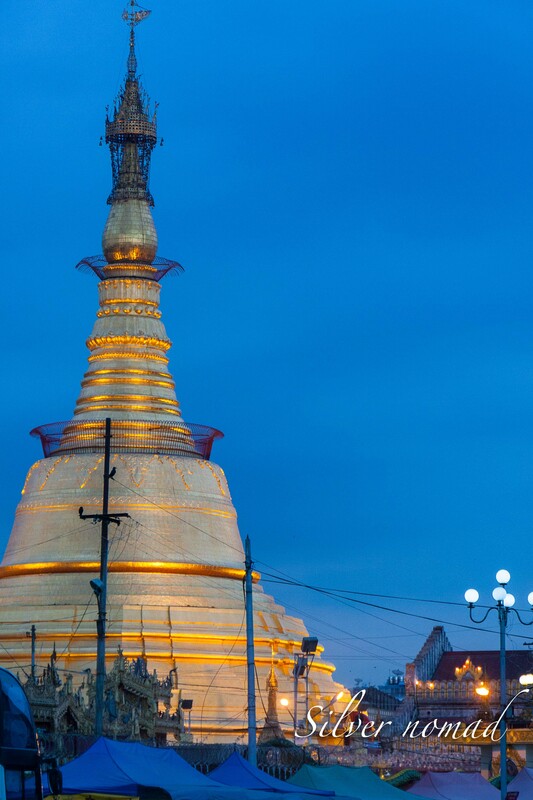 The heart of this old colonial city is, fittingly, a revered temple, Sule Pagoda. It sits in the middle of the road and the vehicles flow around it, a unique oriental take on the British roundabout.